Body is muslin. Head stitched to look like a pumpkin and topped with two leaves. Leaf shaped hands and feet. Wings are fabric lined with quilt batting and adorned with wood star and moon. 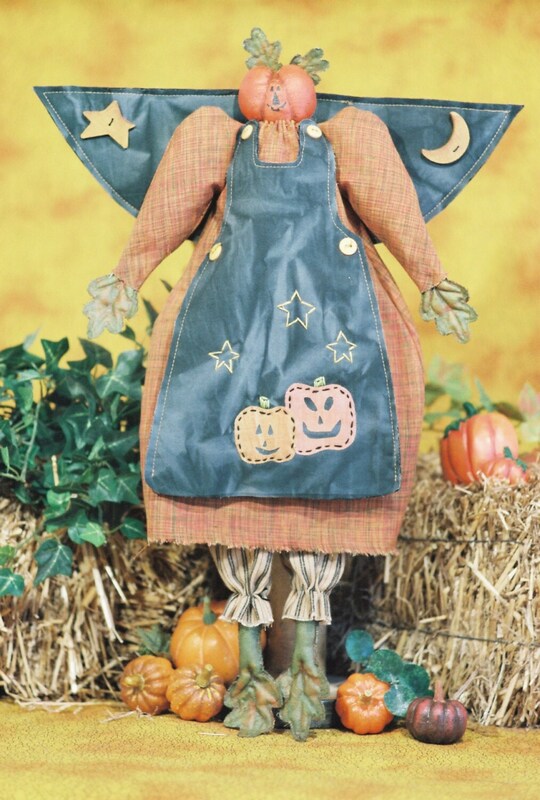 Apron is adorned with pumpkin appliques, embroidered stars and buttons. Easy to make. PDF download comes complete with easy to follow instructions, doll pattern, clothing pattern and suggested materials list.